Samford University's Leslie S. Wright Fine Arts Center continues its Signature Series with an afternoon performance by jazz artist Jon Batiste and his band Stay Human. The concert is Sunday, Feb. 23, at 4 p.m. in Samford's Brock Recital Hall. Tickets are $20, with student tickets just $10. Samford students, faculty, and staff receive one complimentary ticket. Tickets are available online at tickets.samford.edu or by calling the Samford Arts Box Office at 205-726-2853. Regular box office hours are 9 a.m. to 5 p.m., Monday through Friday. The concert will feature tracks from the band's debut album "Social Music," as well as original works and classics from the jazz, funk and soul songbooks. Despite his young age, Batiste is renowned for his showmanship and high energy performances featuring surprise guests, audience interaction and the band itself playing through the audience, according to Wright Center Director Sean Wright. About the band, the New York Daily News said, "It's almost impossible to hear and see Batiste in person and not smile." Nashville Scene remarked, "The audience buzzes with an excitement that most of the better-known jazz acts fail to elicit." And the Financial Times noted, "[Batiste] presents his band with an insouciant Big Easy charm . . . where anything could happen." 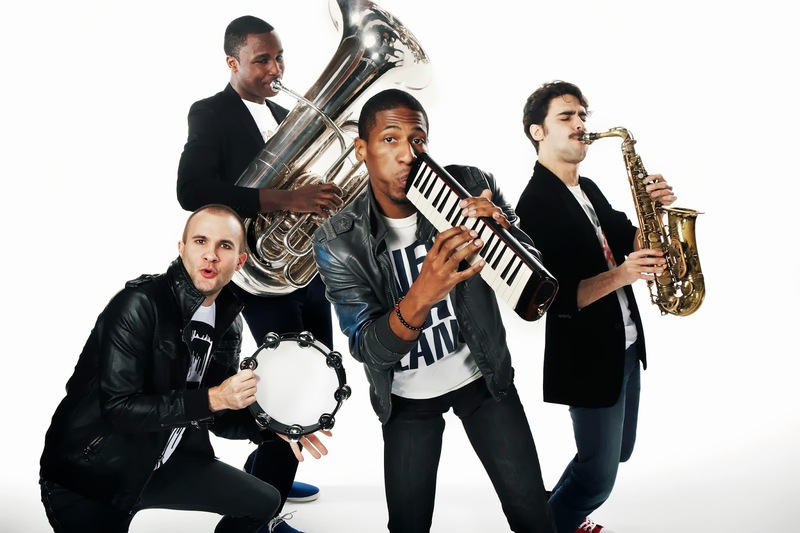 "Jon Batiste is considered by many to be one of the most exciting new crossover talents on the scene today," said Wright. "We are thrilled to bring him to Samford for the first time. His infectious brand of music will bring long-time jazz fans and new jazz audiences alike to their feet. Between his performance and master classes with students, we know he'll make a lasting impact in Birmingham." "Social Music" reflects the dapper 26-year-old Batiste's evolution over the past several years. "This album documents the evolution of the band," Batiste said. With Batiste on piano, vocals and melodic, which he has renamed the harmonaboard, and his band Stay Human-Eddie Barbash on alto saxophone, Ibanda Ruhumbika on tuba and Joe Saylor on drums and tambourine-"Social Music" demonstrates an extraordinary range. The album reflects a combination of multiple song styles and tones, blended together in a way that is constantly surprising and invigorating. Jazz is infused with world music, Americana, funk and contemporary dance music. All of this is with a singular, uniting purpose, he explained. According to Batiste, "The purpose of this music is to bring people together from all walks of life by creating a montage of many different music traditions and playing it with the spirit of inclusiveness. That intent is what gives these different styles cohesion, and that's why I decided to call it 'social music.' We are in a technological age and Social Music aims to reflect that spirit of advancement, collaboration and connectivity while still remaining 'human.' And Stay Human, then, is a reminder of what connects us all. It's our mantra. With so many ways to communicate at our disposal, we must not forget the transformative power of a live music experience and genuine human exchange. " A Movado Future Legend award recipient and a Steinway Performing Artist, Batiste has performed in prestigious events and venues across the world, Wright said. His modern take on the American songbook, through the channels of a virtuosic pedigree in jazz and classical music, is attracting critical acclaim as well as audiences across all demographics. Together with his band Stay Human, Batiste is creating a unique grassroots movement that encourages accessibility and appreciation in the art of the live performance. Batiste is a noted advocate for music education as Traveling Ambassador for Music Unites and associate artistic director for the National Jazz Museum. He also is a regular figure in television and film, including HBO's "Treme" and Spike Lee's "Red Hook Summer". This performance is made possible through the support of the National Endowment for the Arts, South Arts and the Alabama State Council on the Arts. More information on the Signature Series, including upcoming performances with jazz vocalist Halie Loren, An Evening with CS Lewis and more, as well as all other events held at the Wright Center can be found online at www.samford.edu/wrightcenter.